Robert Frankovich was born and raised in Chisholm, MN. He attended Chisholm High School and graduated in 1980. Earning an Associate of Arts degree from Hibbing Community College and a Bachelor’s of Science degree in 1987 from the University of Wisconsin – Superior allowed him to begin working in the fitness industry. Later he went back to Hibbing Technical College and completed the law enforcement coursework necessary to become Minnesota POST eligible. 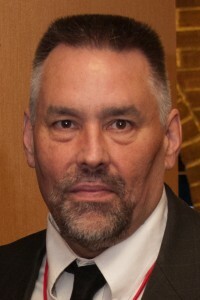 He began working in the security industry in 1986 and since he has worked in proprietary and contact security as an armed and unarmed officer. In 1981, he found the opportunity to train in Taekwondo through the Karate North organization as part of Hibbing MN’s Community Education program and has continued his training since. When he moved to Superior, WI to complete his bachelor’s degree, he trained with the UW-Superior Karate North classes. His teaching started when Master Tom Sullivan asked him to the UM-Duluth Summer class in 1986. His training continued at UW-Superior and he started offering classes through community education in Superior and Duluth. In 1990, he changed his school name to Pine Tree Taekwondo to reflect the more traditional aspect that his teaching had developed toward. This is a result of his search for what Song Moo Kwan was. The first of his articles about Song Moo Kwan, an original school of Taekwondo, was published in 1994. He remained with the Karate North and earned the rank of 3rd Dan until 1996, when an opportunity was given to him to help build a new Song Moo Kwan Taekwondo organization. This new organization, in its original version, failed and he returned to Minnesota in late 1997. He began training at the North American Taekwondo Federation with Grandmaster Ro, Hee Sang, son of the Song Moo Kwan founder, and was promoted to 4th Dan before leaving the organization due to financial disagreements. In 2002, he contacted the American Song Moo Kwan Association, which had re-established itself after the initial attempt in 1996. He trained with their curriculum and was promoted to 5th Dan in August 2003. (View breaking demo from this test here). This was shortly before Master James Wohlwend took formal leadership of the organization. 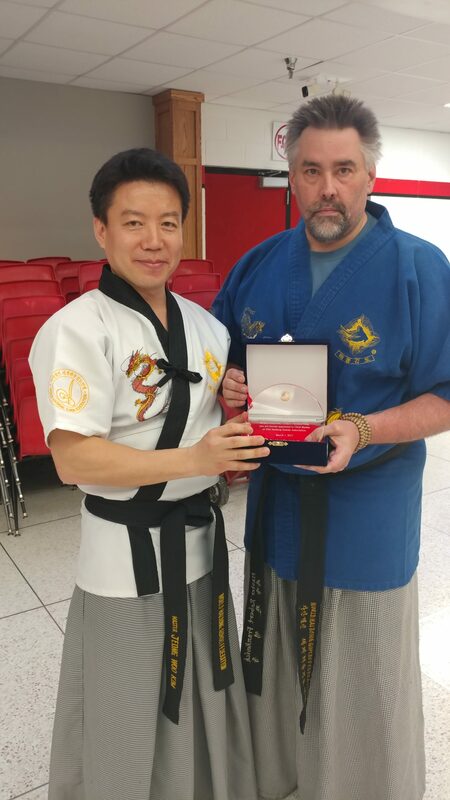 Since then, Robert has been working to collect information about Song Moo Kwan, its Masters and Grand Masters and the stories from the leaders. 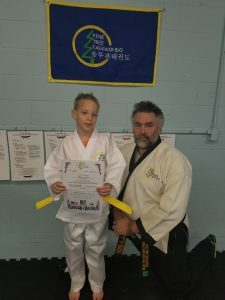 Toward this goal, he developed the International Song Moo Kwan Association (ISMKA) as a place to collect the names, stories and those who have lost their instructors or schools but do not want to lose their connection to Song Moo Kwan. Through the Masters working with the ISMKA, he was promoted to 6th Dan in 2009. 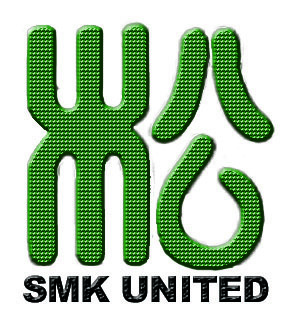 The ISMKA has been put aside and the work done moved to the World Song Moo Kwan United organization to benefit the growth of Song Moo Kwan under the leadership of SGM Joon Choi. In 1990, after completing the law enforcement training, he decided that his martial arts training needed to be supplemented by an art that didn’t promote striking as the method of gaining control of a situation. It was at this time that he found Seidokan Aikido. A Northern Lights Aikido class at the Duluth YMCA taught by Brad Bergeron-sensei started the journey in Aikido. This seemed to be a natural direction to develop and train within now that he had completed the law enforcement training and testing with police and sheriff departments and didn’t feel the Taekwondo would be sufficient enough for working within a police/sheriff department. One of the governing concepts for Seidokan Aikdio was to bring the principles of Aikido into daily life. Shihan Roderick Kobayashi, founder of Seidokan Aikido believed that everything taught should have applications in daily life for anything from conflict resolution to promoting health and personal growth. Kobayashi-sensei’s insights were unique and the product of his years of training and as a student of Koichi Tohei-sensei. He received his Shodan certification in 1993 and was one to the last students promoted (to Nidan) before Kobayashi-sensei’s untimely death in 1995. In August 2003, Robert had the opportunity to begin training in Haidong Gumdo, a Korean sword art. He continued working on the introductory curriculum and, in March 2005, connected with Master Laura Clements to further his training. He received his Master Instructor certification in November 2005 and is currently teaching classes as WTMA Haidong Gumdo. Interest in the curriculum grew quickly and branch schools were opened shortly after making connections with Master Laura. There are now ten masters who have joined Master Frankovich. The first black belt testing was held in December 2008. Three students received their certifications with one also joining the instructor’s program. 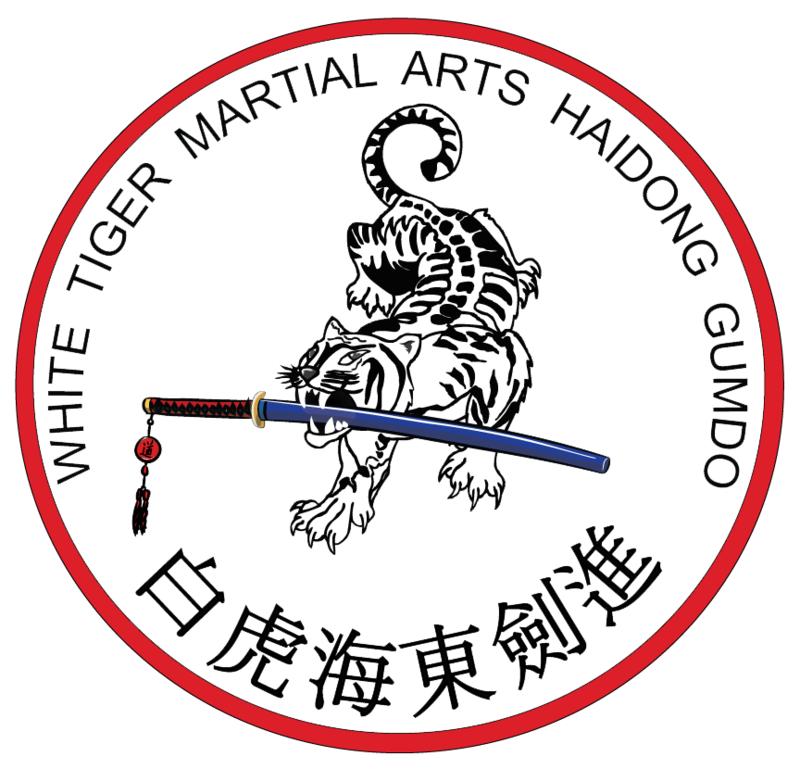 The headquarters of Midwest Haidong Gumdo is the Twin Cities (Fridley) dojang. 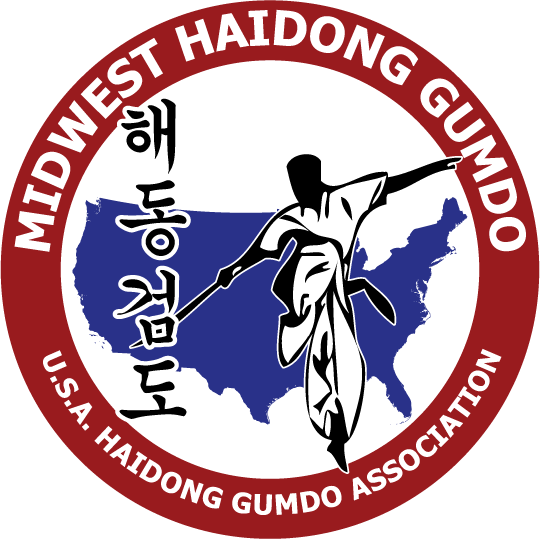 There are 13 Masters in the Midwest Haidong Gumdo group. In August 2010, saw the beginning of a new working relationship with the USA Haidong Gumdo Association Senior Chief Master Marshall Parnell. View a cutting demos from the 1st Pan American Championships (2011) here – five cuts on two bamboo sticks at the 2011 Haidong Gumdo Pan American Championships…..four cuts on two double mats at the 2011 Lake Superior Dragon Festival. 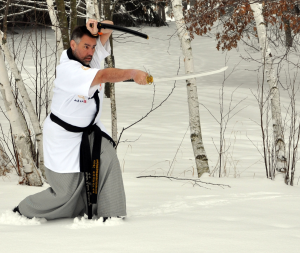 In June 2009, he created White Tiger Martial Arts to provide martial arts courses through a variety of Minnesota locations. This is an expansion of Sparrow Institute philosophy. Once established and other like-minded instructors are found, work will begin on opening a full-time schools as additional locations. 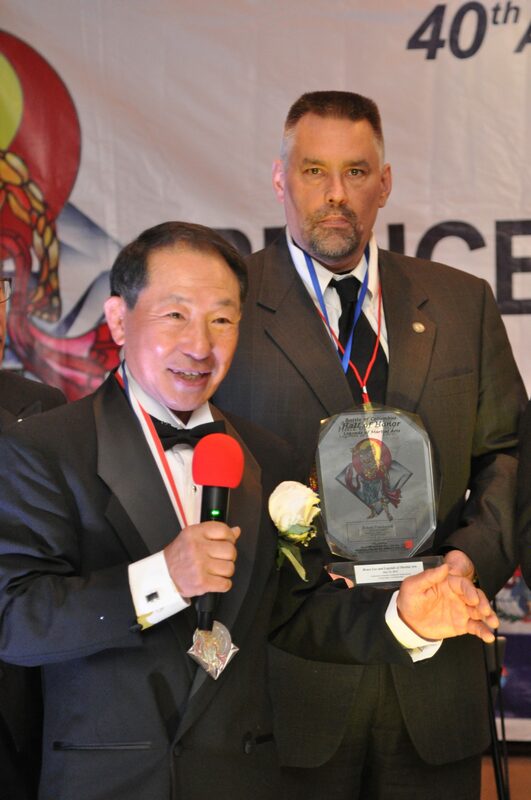 The USA Hall of Fame honor of Korean Martial Arts Master of the Year was awarded to him in April 2014. 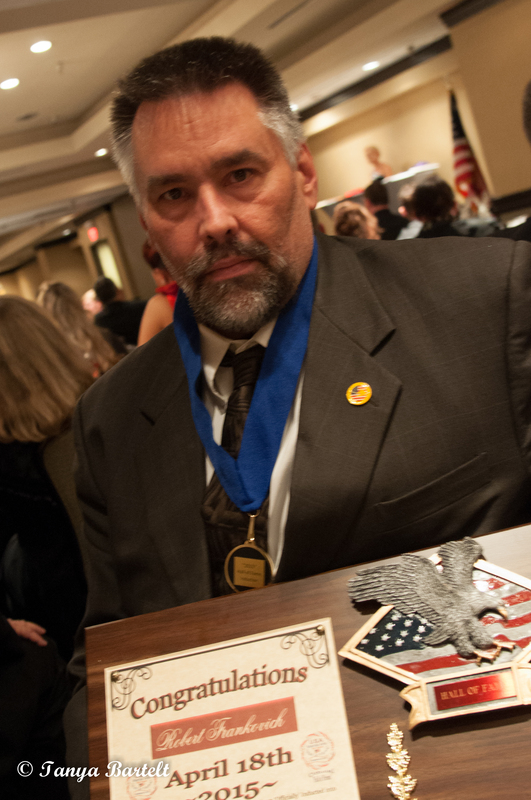 Additional recognition as the Minnesota State Co-Director of the Martial Arts Alliance was confirmed in October 2014. 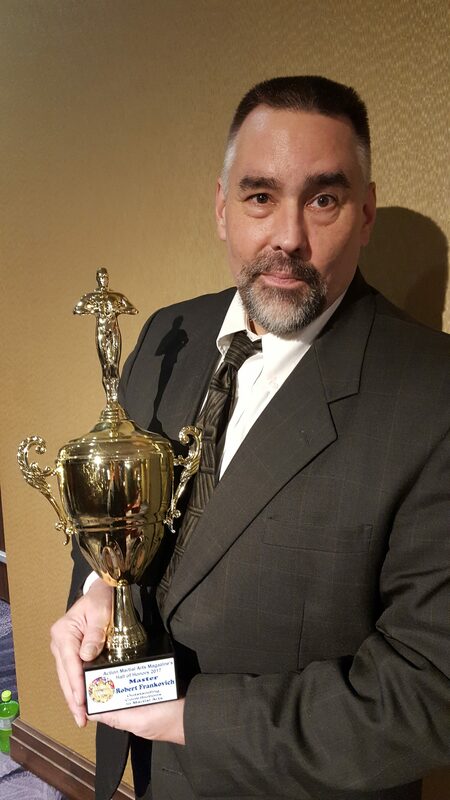 The 2015 USA Hall of Fame brought an induction as the Haidong Gumdo Master of the Year. 1982 to 1990…..Karate North Taekwondo (Northern Taekwondo Assoc., Tom Sullivan, Chief Instructor). 12/1988 …..Certified 1st Dan Black Belt through the Northern Taekwondo Association – Karate North under Tom Sullivan, Chief Instructor. 12/1990…..Certified 2nd Dan Black Belt through the Northern Taekwondo Association – Karate North under Tom Sullivan, Chief Instructor. 4/1992…..Certified Kukkiwon 1st Dan Black Belt through Grandmaster Hee Sang Ro. 11/1993…..Certified 3rd Dan Black Belt through the Northern Taekwondo Association – Karate North under Tom Sullivan, Chief Instructor. 10/1998…..Certified Fourth Dan Black Belt through the North American Taekwondo Federation & World Song Moo Kwan Association under Grandmaster Hee Sang Ro. 5/1999…..Certified Kukkiwon 2nd Dan Black Belt under Grandmaster Hee Sang Ro. 6/2000…..Certified 4th Dan Black Belt through Amateur Athletic Union (AAU) Taekwondo. 7th Dan Test Panel (left to right) 8th Dan Grand Master James S. Cahn, 8th Dan Grand Master Roy Bushman, 10th Dan Supreme Grand Master Joon Pyo Choi, 9th Dan Grand Master Young Pyo Choi, 8th Dan Grand Master Kwang Ho Kim, 9th Dan Grand Master Ron Coleman. 8/2002…..Certified 4th Dan Black Belt through American Song Moo Kwan Association. 8/2003…..Certified 5th Dan Master Black Belt through the American Song Moo Kwan Association. 1/2009…..Certified 6th Dan Master Black Belt through the International Song Moo Kwan Association. 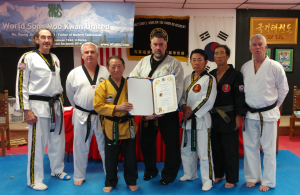 5/2017…..Certified 7th Dan Senior Master through World Song Moo Kwan United under SGM Joon Pyo Choi. 6/2004 to 1/2010…..Pine Tree Taekwondo (Sparrow Institute) New Hope, MN. 11/2005…..Received “Master Instructor” certification through the U.S. Haidong Gumdo Association. August 1994 Black Belt Magazine published The Forgotten Forms of Taekwondo, the first ever article regarding the Chung Bong Poomse (forms) that are unique to Taekwondo Song Moo Kwan that I authored. Four Principles of Aikido: Mind/Body Budo is an article published in the May 1995 issue of Black Belt Magazine and discusses the development of Aikido as with a possible insight into what the Aikido Founder, O’Sensei may have been attempting to teach his students concerning mind and body unification and how that continued to grow through Koichi Tohei and is continued with Roderick Kobayashi. Inside Taekwondo has accepted an article The History and Traditions of Taekwondo Song Moo Kwan (published in the December 1994 issue) which includes some of the first information ever supplied by Grandmaster Byung Jick Ro, the founder of Song Moo Kwan. It is the first article to be published about Song Moo Kwan history and provides new information to clarify the origins of Song Moo Kwan as well as Taekwondo itself. Northern Lights Aikido classes use a student manual that I compiled and edited for use with class and as a text for the University courses at both UMD and UWS. The first edition printed is the Beginner’s Student Manual with the basic principles, techniques and terminology for the first three levels. A second edition, Advanced Student Manual, is in progress to supply advanced information for the higher three levels including First Dan Black belt. TaeKwonDo Times article printed in 1997. This was a re-worked version of the Forgotten Forms of Taekwondo article published in Black Belt in 1994. Aikido Doka: The Poems of Ueshiba Morihei was printed in the Winter 1996-97 issue of Furyu: The Budo Journal. The Endless Search: Does Cross-Training Hold The Key To Martial Arts Success? published in the February 1998 issue of Black Belt Magazine. Founded Tiger Consulting in 1998 to teach conflict resolution and personal protection programs for law enforcement (POST accredited) and the public. Developed an expandable baton program (featuring the CenturyTM Expandable Baton) featured in the August 2000 Gold Medal Productions video. Inside Kung Fu Magazine published the “Ultimate Guide To Taekwondo” which featured a re-print of The History and Traditions of Taekwondo Song Moo Kwan article that had been originally printed in their sister magazine Inside Taekwondo. Seidokan Aikido: An Evolutionary Step was submitted to magazines in July 2003 but is yet unpublished. Totally Taekwondo Magazine published Secret Applications Within Song Moo Kwan’s Hyungs in the January 2016, Issue 83 publishing. The article written for the White Tiger Ramblings blog, Learning vs. Performing, was published as “Performing Matters” in the February 2016 issue of Conflict Manager magazine. Had the article “Effective and Efficient” published in Totally TKD magazine August 2018 Issue 114.